Recent news outlets are reporting that the City of Indianapolis has approved a $1 million agreement for the purchase of bicycle equipment to be used for a bikeshare program that is set to begin around May 2014. “Bikeshare” is a relatively widespread concept that exists across the world and was recently put into effect in New York City. The concept behind bikesharing programs is to provide free or affordable access to bicycles for short distance trips in cities as an alternative means to using public transportation or other gas-powered modes of travel that cause additional traffic, noise, and pollution. This allows people to cut back on taxi cab rides and makes urban living more convenient, even allowing some city dwellers to ditch their cars. Indianapolis Mayor Greg Ballard stated, “Indianapolis continues to take great strides in providing people more transportation options. Coupling this announcement and the exciting new car share announcement shows that Indianapolis is taking bold new steps to attract new people and talent into our city.” The initial bikeshare program blueprint indicated that the stations will be located in proximity to the Indianapolis Cultural Trail in downtown Indianapolis. B-cycle, a company that handles bikeshare programs throughout the country, will provide the equipment and manage the bikeshare program in Indianapolis, while the Indianapolis Cultural Trail, Inc. will operate and maintain the bicycle sharing program. We believe that the bikeshare program will be a tremendous asset to Indianapolis. As many people are already aware, parking an automobile downtown can be difficult, particularly if you are a student at IUPUI, where parking is limited. A bikeshare program would also allow Hoosiers to get closer to longer distance public transportation spots to board a bus. Bikeshare programs also remedy some of the downsides to bicycle ownership, such as loss from theft or vandalism, maintenance requirements (pump tires, fix chain, etc. ), and a lack of parking or storage requirements. Bikeshare programs seem to work best in cities with greater populations. Bloomington, Indiana, the home of Indiana University, has thought about implementing a bike share program, but noted that such programs have not been successful in cities comparative in size to Bloomington (Bloomington has a population of around 80,000). Hopefully, places like Bloomington and West Lafayette, major college towns, will be able to find a bikeshare program model that fits their demographics in the future, as such a program could be very beneficial to college students. The Indiana bicycle lawyers at Caress Law Group applaud the City of Indianapolis for continuing to take great strides to improve the City’s bicycle transportation platform. 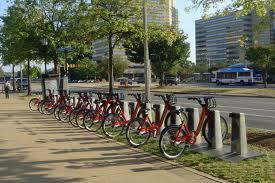 We believe the bikeshare program will be extremely beneficial to the City. Caress Law Group’s Indianapolis bicycle wreck attorneys take great pride in advocating for the improvement of all things bicycle-related in Indiana. If you have a question about this article or have any other question related to cycling in Indiana, don’t hesitate to contact us at 317-255-5400 or lance@caresslaw.com. All calls are free and easy, and we look forward to hearing from you! Reports of pedestrians in Indiana who are being hit cars seem to litter the news and happen far too frequently. Like bicyclists, pedestrians are often left vulnerable to the force of motor vehicles should a motor vehicle vs. pedestrian accident occur. 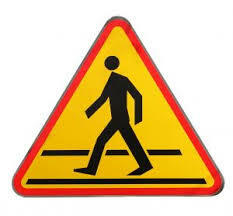 Also like bicyclists, pedestrians are not noticed by drivers even when pedestrians have the right-of-way and often times the driver cannot avoid hitting them until it is too late. Although this has become a problem, the pedestrian accident lawyers at Caress Law Group believe that, through social awareness and by ending distracted driving, pedestrian accidents in Indiana can be reduced. Just recently, in the early morning of June 9, 2013, a pedestrian was hit by an automobile near the intersection of 22nd and College in Indianapolis. The Indianapolis Metropolitan Police Department reported that the injured person was immediately rushed to the hospital in serious condition. This pedestrian was eventually identified as 31 year-old Robert Thomas, who was thankfully upgraded to stable condition the next day. Not all victims of pedestrian collisions are so fortunate. On May 29th, Donna Ubelhor, a Lafayette, Indiana woman, was tending to her flower garden when an out-of-control car entered her yard and ran her over, causing her death. Additionally, on May 1st, David Heady was crossing East Morris Street’s intersection with S. Meridian Street in Indianapolis when he was hit by a speeding motorist who fled the scene. David Heady ended up dying from these injuries on May 22, 2013. These are all very sad and recent examples of a problem that seems to be forming here in central Indiana involving pedestrian accidents. The story is no different with bicycle accidents; Caress Law Group’s bicycle attorneys have seen a rise in bicycle injuries as well. Bicycle and pedestrian accident are more probable to occur in the spring and summer months when people are more likely to be out walking, running, or even gardening. As a result of all the serious injuries they have seen, the emergency staff at Wishard Hospital has issued a warning to drivers, pedestrians, and bikers in the area to be careful when out on Indiana roadways. According to the Centers for Disease Control and Prevention (CDC), around 460 people on average will be injured in pedestrian-related accidents each day and one pedestrian will die every 2 hours due to involvement in a traffic crash. Our thoughts and prayers are with the families of the victims who have died and been injured in the recent onslaught of pedestrian fatalities and pedestrian injuries in Indiana. If you or a loved one has been the victim of a pedestrian accident in Indiana, please don’t hesitate to contact Caress Law Group’s pedestrian accident lawyers. We devote a portion of our practice to helping injured bicyclists get back on their feet, and we also take great pride in representing injured pedestrians as well. 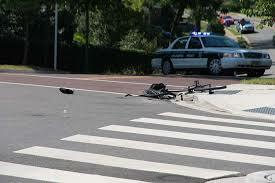 Like cyclists, pedestrians are not protected while on the road, and the injuries can often be devastating. Feel free to call us at 317-255-5400 or at lance@caresslaw.com. All consultations are free and easy – we look forward to helping. There has been a large amount of media attention recently on bicycle crashes occurring throughout Indiana, and many of these bike accidents involve hit-and-run motorists. Depending on the area of the accident, the time of day, and other factors, a motorist may not stop after colliding with a bicyclist or pedestrian. Hit and run accidents occur most frequently in areas where there is not heavy traffic. Generally, in less densely populated areas and late at night is when these types of accidents occur because the motorist thinks he or she has a better chance of escaping the situation without being held responsible when less people are around. As we will explain later, even if the hit and run driver does get away, this DOES NOT mean that you will be unable to recover for the damages you endure from the collision. If you have been the victim of a hit and run crash in Indiana, whether in your car, on your bicycle or motorcycle, or as a pedestrian, this does not mean that the fleeing perpetrator will get away without justice being served. Many times, unbeknownst to the hit and run driver, there are surveillance cameras in the area that can be used to trace the type of vehicle, the person inside the vehicle, and sometimes the license plate number. Additionally, there are often witnesses around who will either see the collision immediately or come to the scene shortly after due to the loud sound caused by the crash. Generally, these tidbits of information combined with local law enforcement’s criminal pursuit of the driver will help lead to an eventual identification of the criminal hit and run driver. The first step to take as a bicyclist or pedestrian in any type of accident is to call the police if possible to report the bicycle accident and, most importantly, to obtain the necessary treatment of any injuries you may have sustained. You may be wondering: who is going to pay for all these medical bills since the driver got away? Under normal circumstances, the at-fault driver’s automobile insurance policy would cover the damages sustained by any injured biker or pedestrian. The extent of your injuries and the driver’s insurance policy limits would determine the amount of compensation you are entitled to in order to cover these expenses. As this is a complicated area of law that we specialize in, contact us for further assistance. However, even if the driver gets away, this does not mean you are out of luck in terms of being compensated for your medical bills, lost wages, and pain and suffering. Many automobile insurance carriers have coverage for “Uninsured Motorist” incidents. What does this mean? Most times, depending on the insurer, this means that if you are in a car accident, bicycle accident, or are a pedestrian hit by a vehicle that does not have insurance or if you are hit by a hit-and-run driver, you are entitled to the uninsured motorist coverage that your insurance policy provides. Many people are unaware of this element of coverage within your insurance policy. Even when you are on your bike and are hit by a hit and run motorist, your policy may cover your medical bills and entitle you to economic damages for the loss of enjoyment of life you experienced as a result. If you have been in a bicycle accident in Indiana, especially one with a hit-and-run driver, you need to contact an Indiana bicycle accident lawyer who specializes in this area of the law. Caress Law Group’s Indiana Bicycle Lawyers are Indiana’s leading bicycle litigation law firm and have 20+ years of experience in assisting injured victims in Indiana. Caress Law Group is conveniently located in central Indianapolis just south of Broad Ripple, and attorneys Tim Caress and Lance Worland are always available for a free consultation. If we can assist you in any way or if you have any questions about this post, don’t hesitate to Contact Us at 317-255-5400 or by e-mailing us at Lance@CaressLaw.com. We look forward to assisting you in any way possible. Recently, some states across the US have started to adopt mandatory bicycle helmet laws. As we discussed in our previous post, Indiana is not a state that requires bikers to wear helmets while riding. However, many Indiana bicycle enthusiasts are advocating for Indiana lawmakers to require the use of helmets for purposes of encouraging safety and protecting lives. Still, news reports are being released questioning whether these mandatory bike helmet laws actually serve the purpose of saving lives and “cushioning” serious injuries. One study released by the BMJ compared the number of bicycle-related injuries in Canada both before and after certain provinces passed laws making it a requirement to wear helmets. This data set spanned accidents that occurred between 1994 and 2008. The study indicated that the frequency in head injury incidents was “not appreciably altered by helmet legislation.” To make matters confusing, a study published in the Journal of Pediatrics took into account the death and injury rates of cyclists aged 16 or below in US states with mandatory bicycle helmet laws and compared those rates to states without such laws. This study found that injury and death rates were approximately 20% lower in states that require riders to wear helmets. With this, it is important to note that many states do not require all bicyclists to wear helmets, but instead just those riders who are below the age of 16. If you or a loved one has been injured in a bicycle crash, whether wearing a helmet or not, we would be privileged in getting you back on your feet and making sure you are properly compensated for your injuries, medical bills, lost wages, and all pain and suffering you experience as a result. Keep in mind that calling us at 317-255-5400 is FREE and easy, and we always have time to listen to your unique set of circumstances. As bicyclists ourselves, the Indiana bicycle lawyers at Caress Law Group take great pride in dedicating our practice to assisting injured cyclists. We advise riders to always ride safe – and enjoy your next ride!